One of the first realizations of new parents in Geneva is the pricing of activities for kids. From softplay to baby swimming everything seems expensive. But if you dig deep enough, you’ll also find kids activities for free in Geneva! 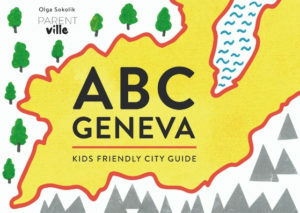 Here is your list of free-of-charge kids activities in Geneva FOR FREE. Use it, save it, share it! Museums – Musee d’histoire Naturelle is probably most attractive for children, although it’s far from London’s or NY’s Natural History Museums. – Musee d’art et d’histoire de Geneve offers not only it’s big and interesting collection but also a family space for children of minimum 3 years of age. For 3 to 5 year olds the Museum offers activities on Wednesdays . Gratis of course, or they wouldn’t be on that list. – MAMCO will not let you down, either. Every first Wednesday of each month a 20 min tour is organized for children aged 2-4 and 5-10 year olds – Mini/Petit Rendez-vous. It’s very popular with limited number of places, so be there in advance. The very downside of it is timing: 15:15, which means nap time for so many 2-4 year olds. Trial classes I laughed with a friend some time ago, that by just going to trial classes in search for a perfect activity we can actually be very busy and our children can have fun. Almost every place in Geneva offering baby/toddler classes enables you to have the first one for free as a trial. To name just a few: Gymboree, Little Gym, BG World, Espace Musical, Music Together Geneva, Music Together Vernier, La Bull d’aire, Kiddy Club, PLP Geneva. 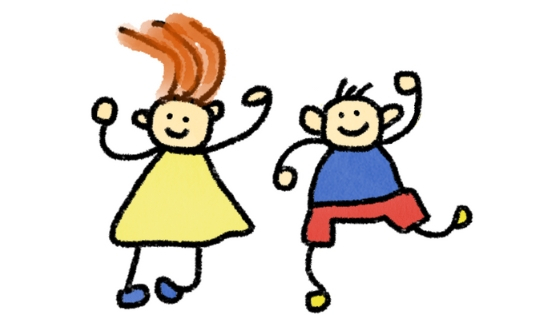 Go, enjoy, have some fun and discover what your kid enjoys the most! Toy libraries – Ludotheques Ludotheques in the City of Geneva and in the communes (ask at the mairie or google “ludotheque commune’s name”. Big communes, like Vernier, will have more than one). Ludotheque is a indoors playground, for a yearly fee you can become a member and rent toys (from bricks, through games cars to inflatable jumping castles). Ludotheques differ in size and quality from one quartier to another, visit few and choose your favorite. They are also available in France. Accueil parents-enfants by Ecole des Parents. This is my latest discovery. Both me and Z love it. It’s completely free of charge, weekly, lasts 2h. Takes place in “salle polyvalente” in Charmille, so a place not made specifically for little ones like ludotheque. Ecole de Parents provides toys, one simple craft activity and time dedicated to singing. Great place to meet other parents, have a coffee, let your kid make new friends. It’s all in French but the staff and most moms speak English. Ecole des Parents offers other activities (eg. baby wearing course, baby massage) but “l’Accueil” is the only one that’s free. Accueils parents-enfants in Vernier. Vernier childcare guide, page 13 (or here if you don’t like pdfs). Takes place in a building dedicated to children, in a room suitable for crawling babies and running toddlers. Full of toys and incredibly helpful and nice staff. For the city of Geneva check Cerf-Volant in Plainpalais. I also found one for Onex and another in Versoix. I’m sure there are more, check with your local mairie. Ikea Two ways of spending time here. First – go upstairs, take shortcuts to kids furniture area, sit down and let them play and jump on the beds. Alternatively go and discover little apartments, and many play corners placed all over the store. Second – the drop off play area is totally free. Maximum time a child can spend there is 1h. Not much, but certainly enough for a relaxing kids-free coffee. Libraries Most of them have children’s sections with comfortable place to sit and shelves adjusted to even 1 year olds. They also hold events – “Ne pour lire” (“Born to read”) is probably best known action, several libraries take part. It’s a time to come and enjoy books with babies and toddlers. Nursing spot and changing tables are there to make your life easier. Many events and kids-oriented activities take place as accompanying events to exhibitions, and festivals. For up to date list check Kid’ing in Geneva Facebook Page, Les Bons Plans Familles, or Geneva Family Diaries blog’ monthly agenda.